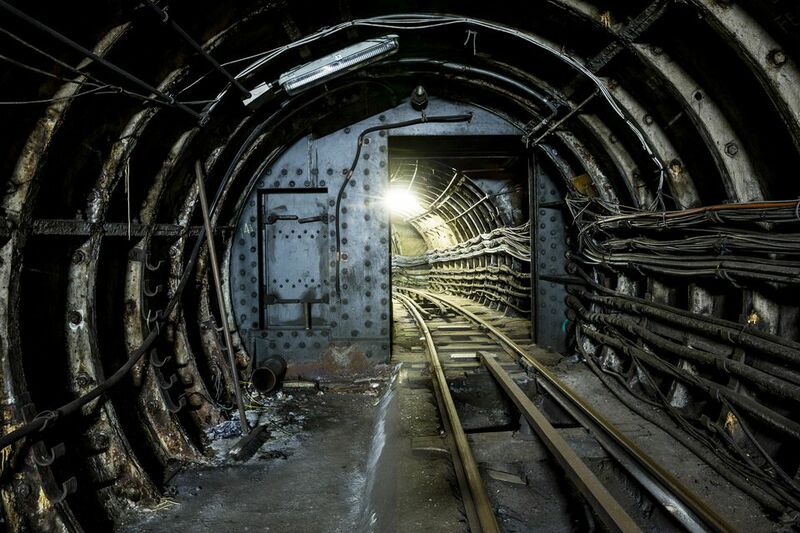 Discover an underground network of rail tunnels that were once used to transport four million letters per day across London with the opening of the brand new Postal Museum. From September 4 2017, visitors will get the chance to climb aboard a replica rail car and ride through secret tunnels that were used by Royal Mail for over 75 years. The tracks are located 21 meters underground and the immersive rail ride is designed to bring the history of this subterranean system to life. The original network was built in the 1920s and was the world's first driverless electric railway. It connected Paddington in west London to Whitechapel in the east via a 6-and-a-half-mile track that linked six sorting offices and criss-crossed many of London's tube lines. At peak times, the service operated for 22 hours per day. It closed in 2003 because it was deemed more expensive than using road transport by Royal Mail but it was an important part of London's communication network and has remained largely unknown to most Londoners until now. Based on the original designs, two new trains have been adapted to accommodate passengers and to provide an immersive experience that includes video footage about the history of the network. The ride lasts around 20 minutes (including embarkation and disembarkation) and passengers will head 21 meters underground and travel through tunnels that are two meters wide at their narrowest point. The train travels at a maximum speed of 7.5 mph and effects including pitch darkness, loud noises and flashing lights are used throughout. The Postal Museum opened at the end of July 2017 and offers an interesting insight into the history of the UK's mail service spanning five centuries. The collection includes personal items like love letters exchanged during the Second World War, telegrams sent by passengers on the Titanic, postcards and greetings cards as well as equipment and tools like handstamps and sorting machines and vehicles such as horse-drawn carts and train carriages. There are plenty of immersive experiences throughout the museum including the opportunity to play dress up in flat caps and trench coats once worn by the traveling postal workers and the option to create your very own stamp with your head on it instead of the Queen's. Fun family-friendly events like craft activities and free workshops run regularly throughout the year and there are dedicated trails to follow and a play space that features letterboxes, a vintage postal van, an interactive sorting office and a mini neighbourhood of streets and houses. Ticket options: You can buy a combination ticket for a ride on the Mail Rail and entry to the Postal Museum (£14.50 adult/£7.25 children 15 and under) or a ticket to visit the exhibitions only (£10 adult/no charge for children). Children 1 and under do not need a ticket. A 45-minute session at Sorted! The Postal Play Space is charged at £5 for children 8 and under. Opening hours: The Postal Museum is open every day between 10am and 5pm. The Mail Rail rides are available to book from 10:15am to 4:15pm. Mail Rail Ride restrictions: People of all ages can ride the train but children 12 and under must be accompanied by an adult and buggies must be left in the Buggy Park. Disabled visitors are welcome but passengers must be able to transfer themselves in and out of the train carriage unaided. There's an Accessible Mail Rail Show in the Mail Rail Depot for people with limited mobility. This audio visual presentation features footage from the journey through the tunnels as well as a soundtrack. How to get there: The Postal Museum is located on Phoenix Place by the Mount Pleasant Mail Centre in Farringdon. There are several tube stations within a 15-minute walk including Farringdon (on the Circle, Hammersmith & City and Metropolitan lines), Russell Square (on the Piccadilly line), Chancery Lane (on the Central line) and King's Cross St Pancras (on the Piccadilly, Northern, Victoria and Circle, Hammersmith & City and Metropolitan lines). Where Can You See Wildlife in London?